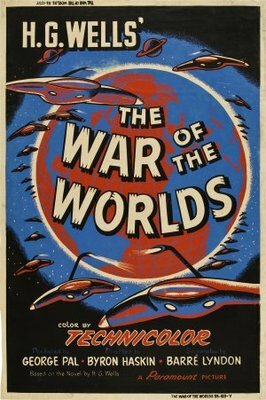 I finally got around to seeing the Tom Cruise version of War of the Worlds. It was ABC’s Saturday night movie last week. It took two and a half hours to show the entire movie thanks to commercial breaks. I loved every minute of it. In this age of DVRs (and VCRs before them), DVDs and video on demand, it was kind of nice to not have to look for the remote to pause the video when I needed to go to the bathroom or fix something to eat or drink. And it reminded me of how exciting it was to watch blockbuster movies on TV after we’d missed them at the theater. I liked the Tom Cruise version of War of the Worlds. I loved Tim Robbins in it better than Tom, but all in all it was a pretty good movie. And if I hadn’t liked it, I wasn’t out anything and I could change the channel. I think I liked that most of all. I like that the network news comes on at 5:30 p.m. and no one is shouting. I was speaking with a friend a while back and his 6-year-old nephew interrupted us to say he wanted to watch a show and needed his uncle to find it for him. That kid’s generation has no concept of “That show’s not on right now.” I think they’re set up to be disappointed frequently in life without that knowledge. Good things come to those who wait, especially those who have a TV antenna made from wood scraps and old metal coat hangars.